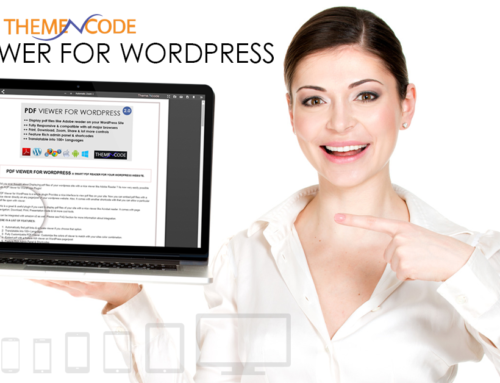 ThemeNcode launches PDF Viewer for WordPress that is changing the way of displaying PDF files which was never thought. This wordpress plugin is now helping to view PDF files of wordpress sites without necessity of having any pdf reader installed on users computer or mobile device, Its fully responsive. 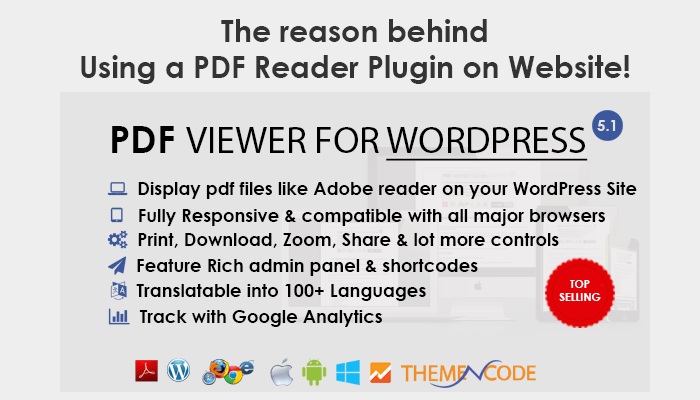 With the help of this wordpress pdf reader one can have lot more controls like sharing, downloading, printing and zooming and also translate into 100+ languages. This plugin is proving to be an indispensable wp premium plugin because of the rich features such as shortcodes and admin panel and for being compatible with all major browsers. Web designing in WordPress, with this website pdf reader is becoming a lot easier and more feasible. This online pdf reader is tested on ios, windows and android and is cross browser compatible, providing seamless experience while browsing, with no limitations on the size of PDF. Other rich features of the wordpress plugin from Codecanyon, which is making it incredible among all premium plugins, include highly customizable, allowing customized colors and elements to be displayed, and find pdf links automatically together with active viewer if chosen. 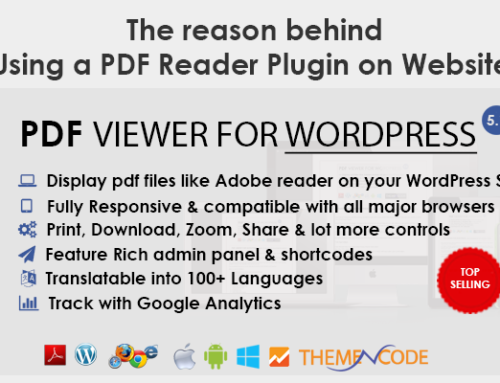 The reasons that this wordpress pdf readeris becoming one of the top wp plugins are, sharing pdf on social networks, enable/disable print option, download option, find option and mode of presentation. This unique website pdf readercan even help in sending link to others via email, and is fast becoming a wp premium pluginbecause of many rich features. While retaining image quality, this plugin is helping users to have a fast and smooth experience and for viewing pdf file on any post/page because of the shortcode feature. 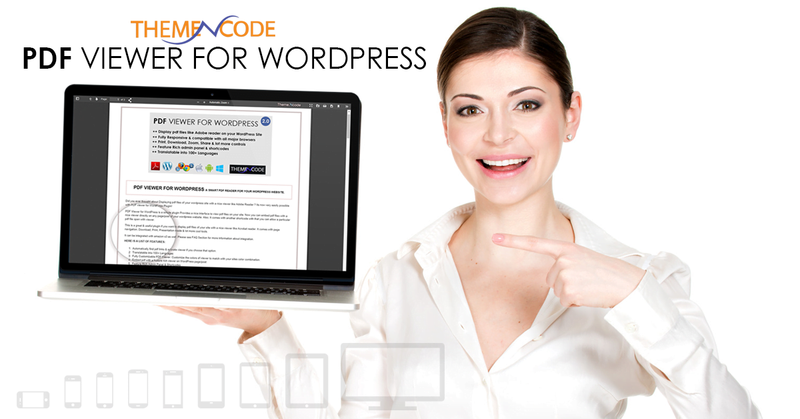 Viewing PDF files on WordPress Websites has now reached the next level, with this wordpress pluginlaunched by Codecanyon.